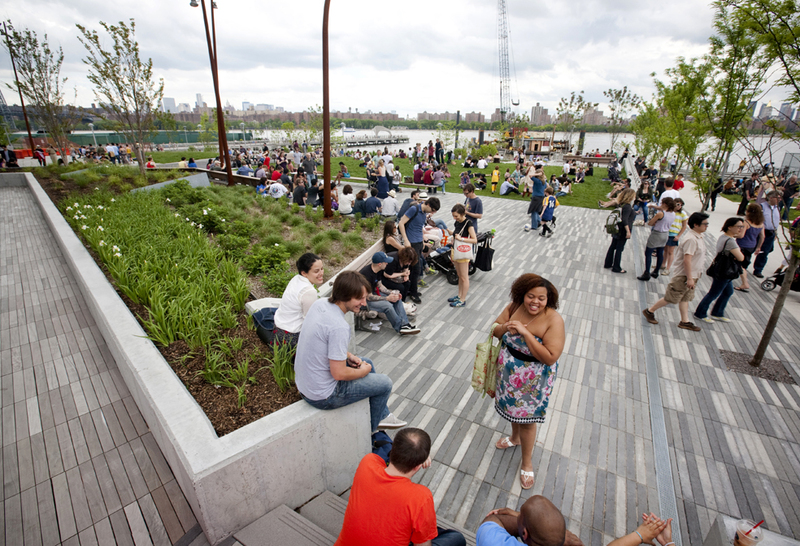 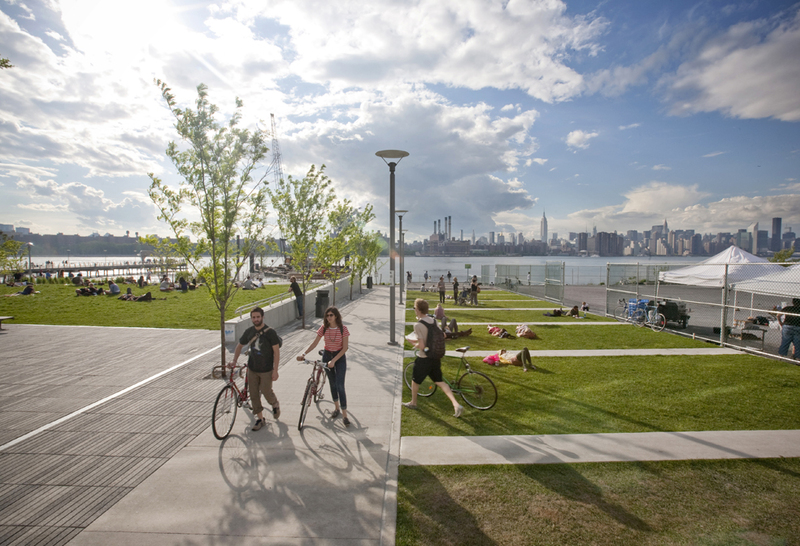 The Edge park brings people to the river and links the ecosystem with the fabric of the community. 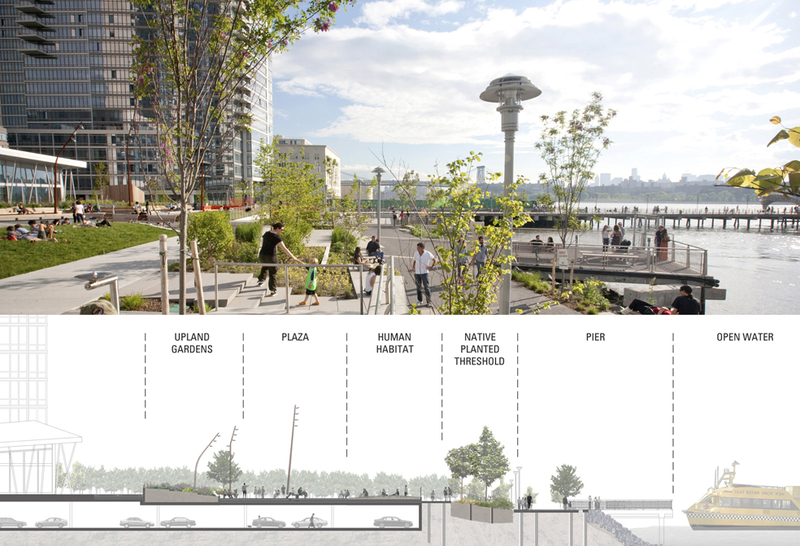 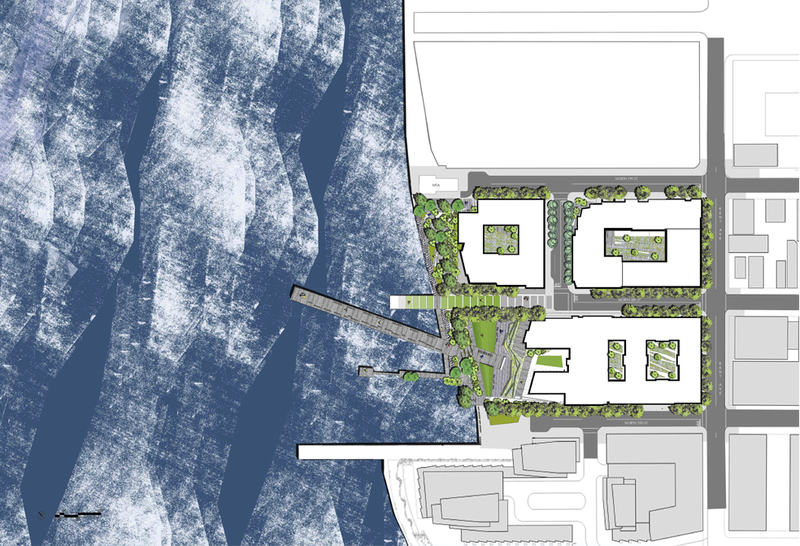 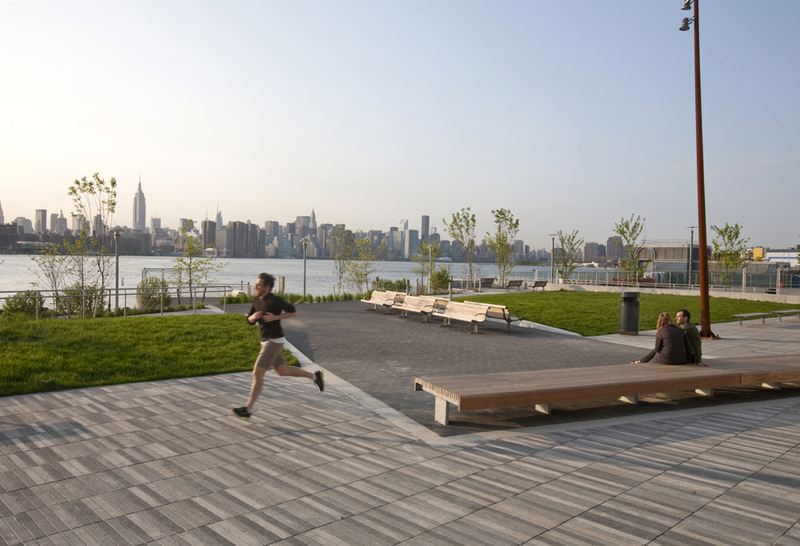 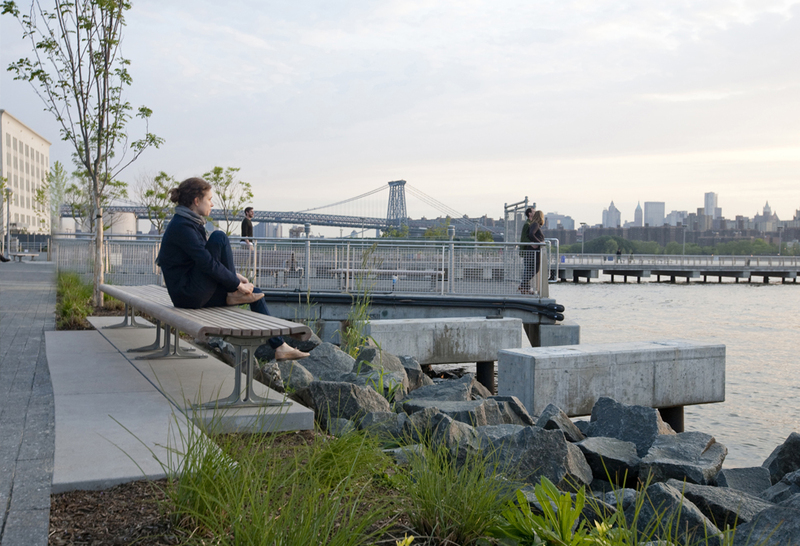 As landscape architect for both the new residential towers and the public waterfront park, we faced the challenge of ensuring that the towers act not as symbolic fences blocking public access and views of the East River and Manhattan, but as gateways to the river with corridors providing visual connections to the iconic skyline. 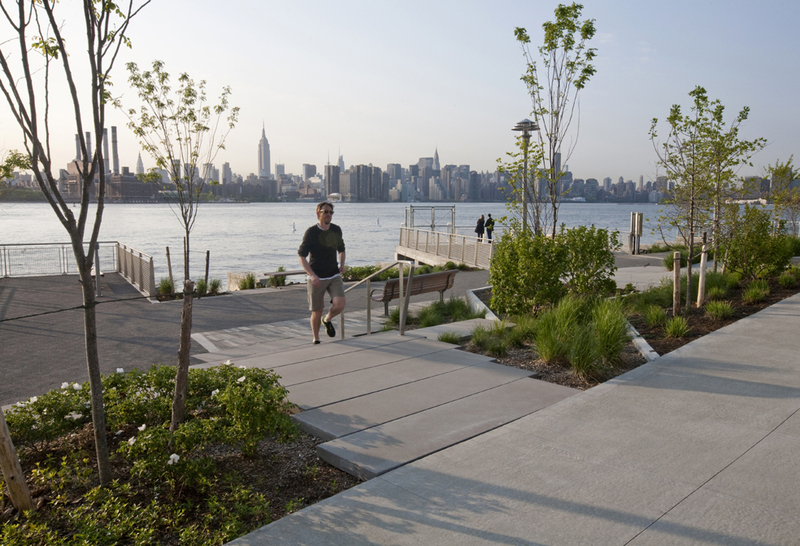 At the water’s edge, the city grid and the river’s ecosystem converge, mingle, and clash: the road turns into a pedestrian greenway, a garage is topped with a sloping lawn, piers reach gently into the water from deep within the park, and a stone-lined riverbank contrasts with concrete bulkhead. 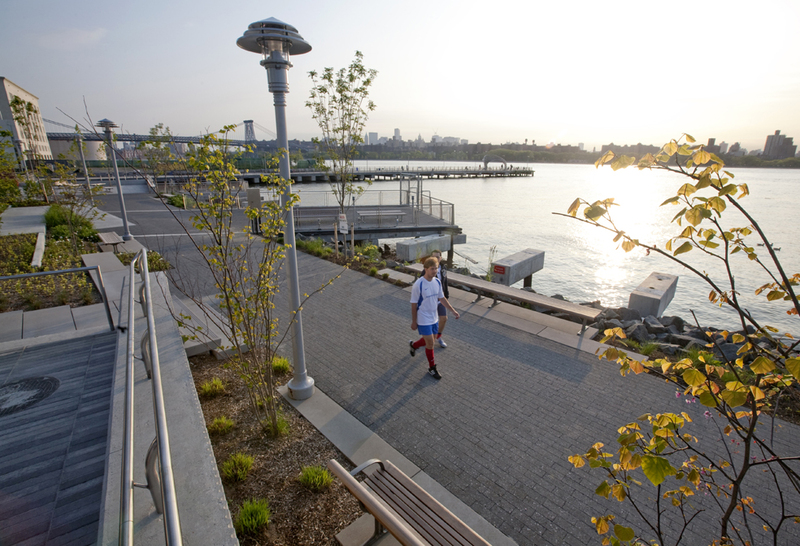 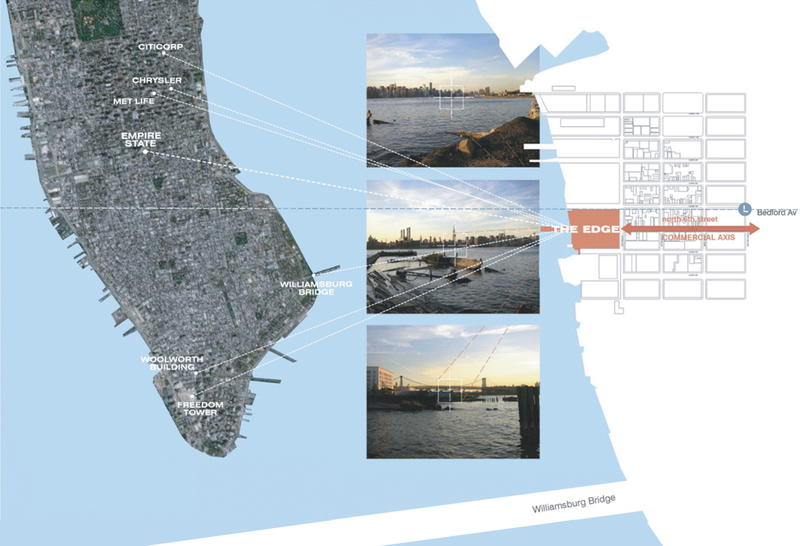 Blurring the boundaries between land and water in these ways extends the waterfront’s benefits inland. 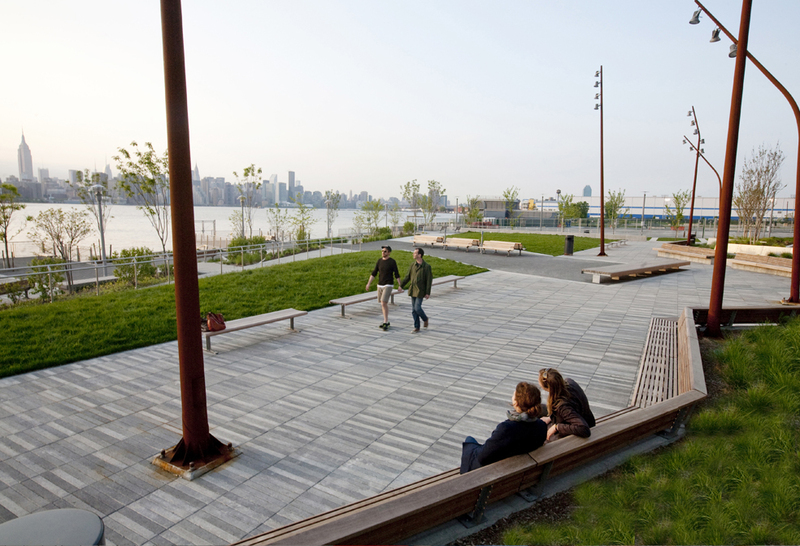 This former industrial site is now 50% permeable, planted with many native species, and is an important part of the LEED Silver rating for the project.